Book one child and get another child half price!! 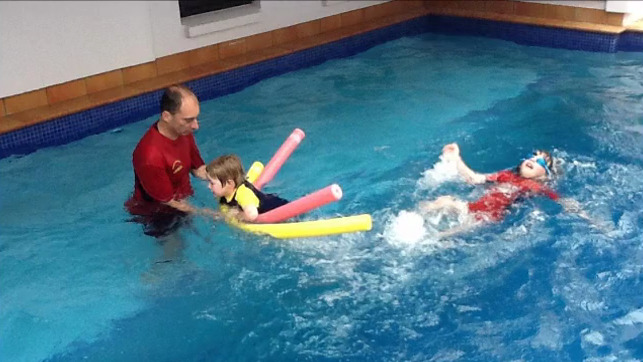 What makes Allan's Swim and Life Saving School different? Most swim schools just teach the basic four strokes, Freestyle, Backstroke, Breaststroke and Butterfly. Here we teach an additional four swimming styles to cope with potentially unexpected situations when out in the water. These additional styles work other, potentially non-fatigued, muscle groups which will improve your survival time. 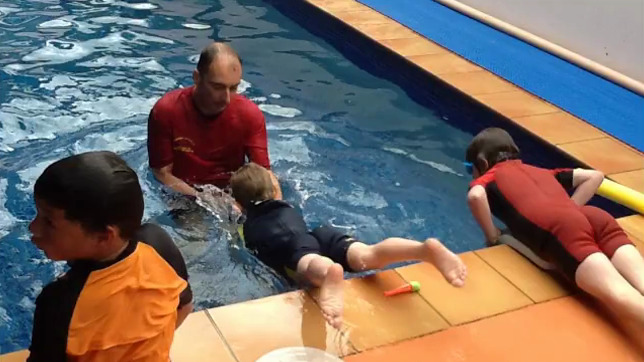 Water can be a very dangerous place even if your child can swim well. Our focus is on lifesaving skills it is important to know how to move in all directions without effort. Believe me these skills can save their life. We encourage an optimum of 4 students per class as we believe that students learn better in small focussed groups. However, we can also arrange for private 1 on 1 tuition by appointment, or larger groups and parties. We focus on the child's individual needs by automatically assessing the child's skills at the beginning of every lesson. We believe that by monitoring children in this way it increases their potential. Water safety is a top priority that's why we focus on life saving skills at every stage of our swim and survive programme.